Hi all :) I walked to my family earlier through the snow and right now I'm warming up with a cup of tea (and giving my eyes some rest, snow and bright sun is always a nice combo, haha). 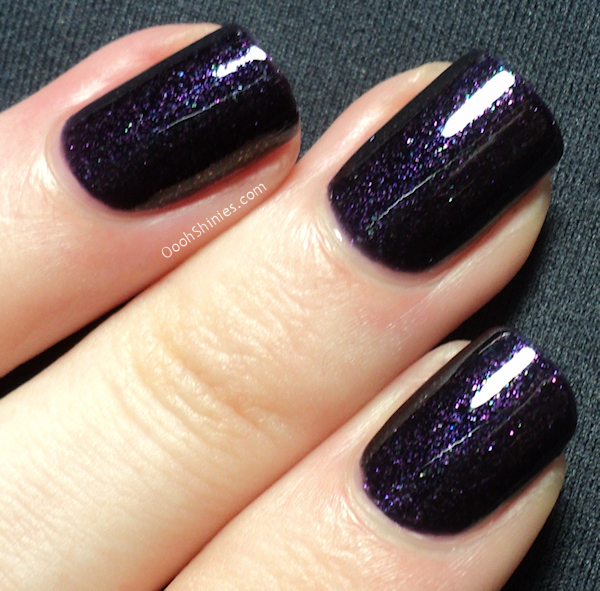 Kitten Salla wants some attention after I'm done with my tea, so just a quick post with some swatches today! 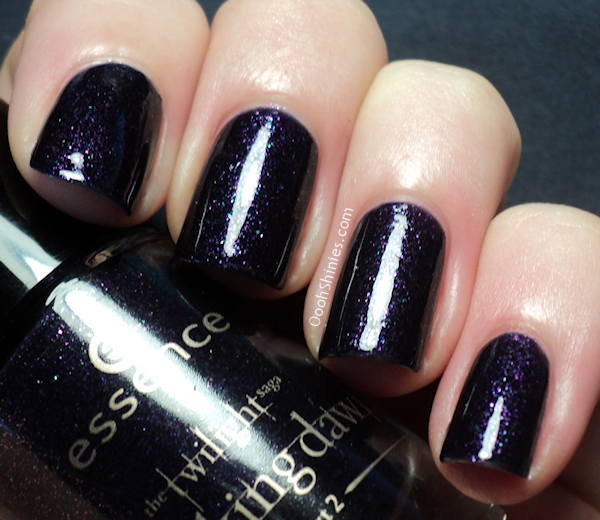 Essence Alice Had A Vision - Again is a very dark polish, but it's far from black. I'd say this is a dark blurple base packed with mainly purple flecked shimmer, but I see teal, blue and some other colors as well. 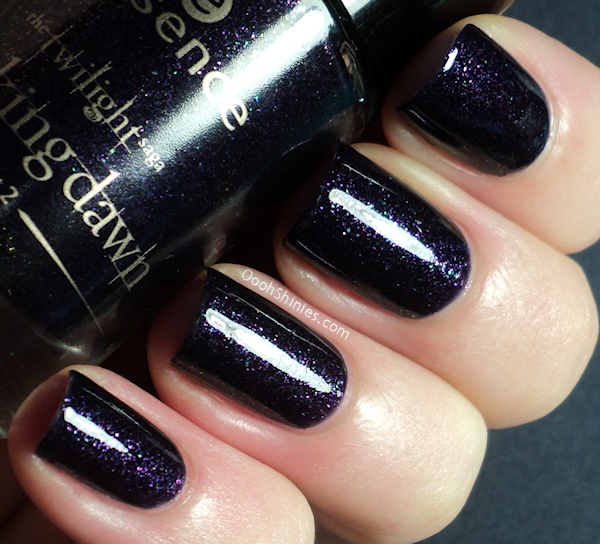 This polish does have a brush that feels the same as the new Catrice brush which I dislike (considering the 2 brands are owned by the same company it could very well be the exact same brush), but when I looked at my nails I quickly forgot that :) AHAVA is from the "The Twilight Saga Breaking Down Part 2" collection, and over here it's still in stores at the moment. The polishes were all gone in my local stores, but if you're lucky, you might still be able to get it. Essence Alice Had A Vision - Again. I hope you're enjoying the snow as well if you have any, and that you'll have a great weekend!